Since the inaugural festival in 2005, the festival has been run by a core team of dedicated local volunteers. Over the ‘big weekend’ a veritable army of individuals give up their time, free of charge, to carry out everything from litter picking to gate duties – and without whom the show simply couldn’t go on. 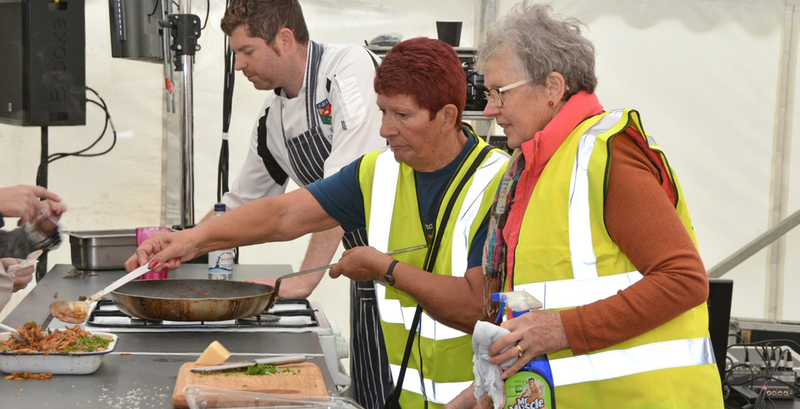 If you’re interested in getting involved and being a part of the buzz that is the Stone Food & Drink Festival, email info@stonefooddrink.org.uk with the word ‘Volunteer’ in the subject line.